Got a new site officially in progress now. This is a site that came about from one long night in the Opera Pit. As another horn player and I were talking, about internet needs none the less, HornSpit.com was born. 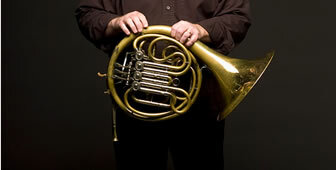 This site is planned to be a repository of all things irreverent about the French Horn (or properly known as: Horn). Funnies, how tos, How to-nots, etc. So if there are any would be Horn players out there that would like to contribute to, what I am sure will be history in the making, please feel free to let me know. The site is still in the preliminary stages but should be functional soon. So, keep a watch out, HornSpit.com is coming soon!